White Lion | Stroud Green pub, bar and kitchen. The White Lion is a modern British pub located in the heart of Stroud Green, a short walk from Finsbury Park and Crouch End. On the menu our focus is delicious seasonal pub food, with ingredients sourced from the best producers and suppliers, and behind the bar you'll find an excellent range of local and continental craft beer, an impressive wine and cocktail list, and exciting selection of house-infused spirits. 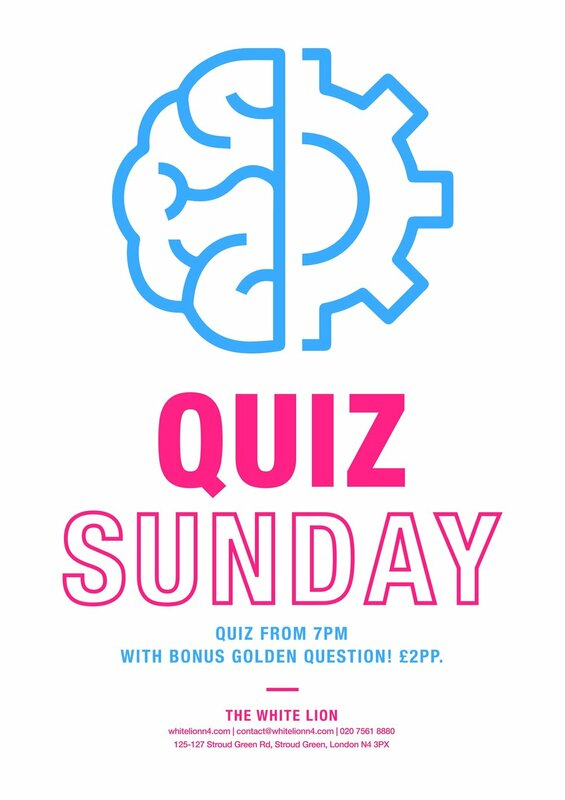 Fridays and Saturdays are all about local DJs, live music and sport, and every Sunday we serve the best roasts in N4, followed by our lively weekly pub quiz. Join us for lunch, dinner, coffee or just swing by for a few pints, seven days a week. If you're looking for a new Sunday roast venue then look no further. Our roasts are fast making a name for themselves as some of the best in N4. We can get very busy on Sundays so we recommend you book to avoid disappointment! Feel free to send us an enquiry using the form below. Alternatively, if you want to organise something extra special for a function, reserve a larger area for a birthday or just a put together a big old knees-up then email us at contact@whitelionn4.com or call 0207 561 8880. Our Atrium Space is available for private hire for all kinds of functions and events. We have a range of different spaces for both small and large events. Whether you are organising a birthday celebration, work event or just a get-together with friends or family let us take care of all the hard work so you can sit back and enjoy your big day hassle free!